Tell us a bit about yourself? I'm a local girl I was born and educated in Loughborough and then went over to Sheffield to embark on my dental degree. 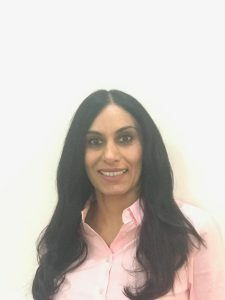 I have been a dentist now for nearly twenty years and have worked in numerous dental practices in Nottinghamshire and Leicestershire. Your role at the dental practice? 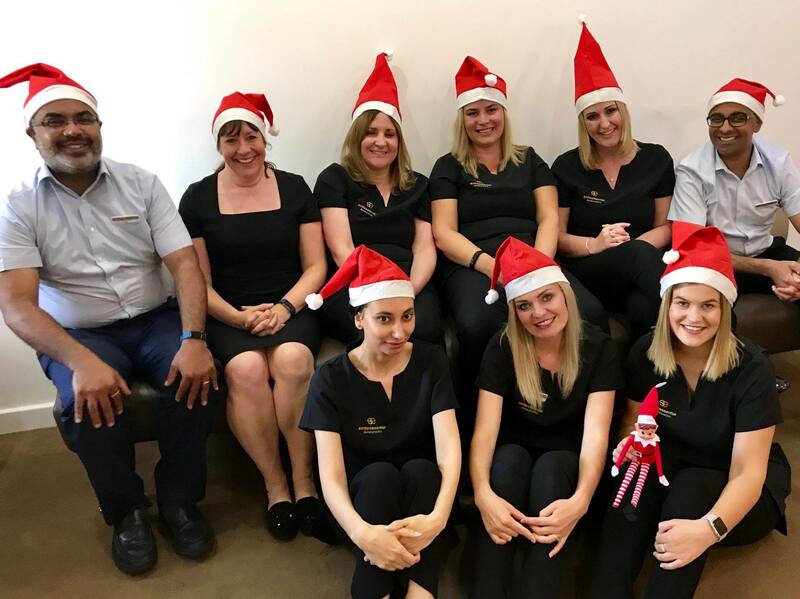 I am a Dental Associate at Smile Essential and alongside my experienced colleagues, I help to provide dental care to patients from routine examinations to a variety of dental treatments. 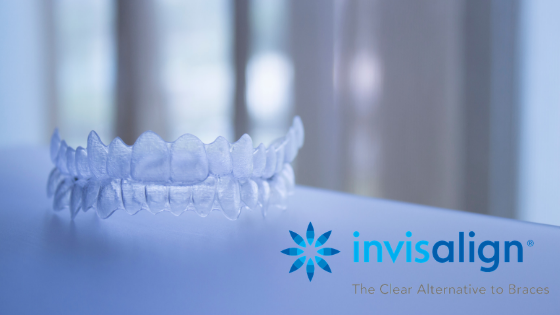 These include simple fillings to more complex treatments such as crown and bridge work and cosmetic treatment including tooth whitening and adult orthodontics. Your favourite part? 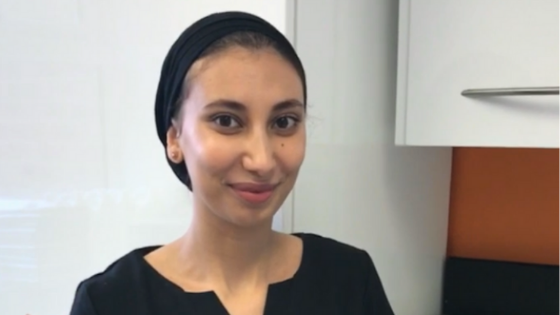 I especially enjoy the cosmetic side of dentistry - there's an immense amount of satisfaction in providing patients with treatments that allow s them to feel more confident about themselves and their smiles. What do you like about being part of the Smile Essential team? This might sound like a cliché - but it's the feeling that I belong to a family here. I feel a valued member of the team. This perhaps explains why the majority of staff have been here years! When you were little what did you dream of doing when you grew up? A backing vocalist for Wham or Madonna. Favourite film? Goodfellas or anything by Martin Scorcese. Favourite TV programme? Any good comedy - Modern Family. How important do you think a good smile is? A good healthy smile is essential in allowing people to go about their daily lives with that inner confidence. Good dental health is vital to ensure that we can function as we should e.g. so we can eat drink and speak normally - otherwise this can have a major impact on our daily lives. This is why regular dental visits are so important. Seeing a dentist regularly ensures that possible problems can be spotted early and corrected preventing major problems in the future. At Smile Essential Dental Practice in Leicester, we are proud to now offer the services of a dental hygienist and therapist. Why visit a dental hygienist? They are specially trained in the prevention and treatment of gum (periodontal) disease which is the main cause of adult tooth loss and also to give advice on all aspects of good oral health. Skill and experience gained focusing on all aspects of gums and soft tissues. 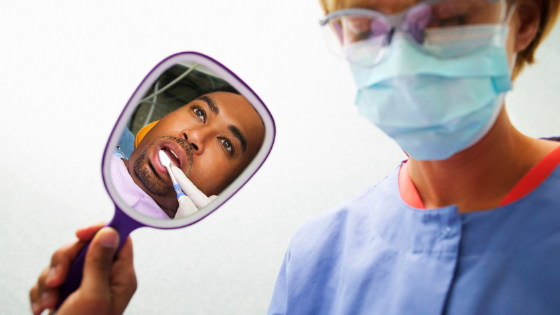 A dental hygienist will have more time to spend giving personalised oral hygiene advice. 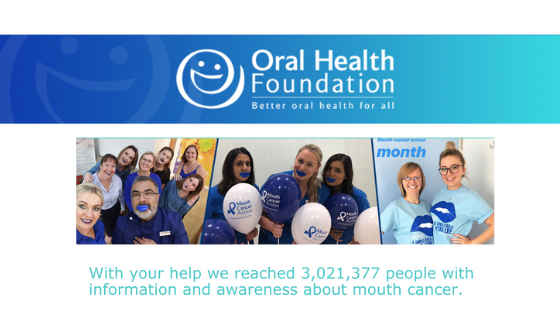 With your help we reached 3,021,377 people with information and awareness about mouth cancer. To the thousands of you who supported us during Mouth Cancer Action Month – thank you. Your activities and events were truly inspiring and undoubtedly had an impact on how much people know about this truly terrible disease. At the Oral Health Foundation, we want to the get more mouth cancers diagnosed at an early stage by raising awareness of the disease while encouraging everybody to be more vigilant about changes in their mouth. As an entirely independent charity, the Oral Health Foundation relies on the generosity of its supporters to continue its mission and address the inequalities which exist in mouth cancer. Our vision is to live in a world where nobody loses their live to mouth cancer. Your donation will support us in our year-round efforts improve the public’s knowledge of mouth cancer, allow us to provide even more advice and support while enabling us to continue our political work so that we can reduce those affected by mouth cancer while improving the quality of treatment and support in aftercare. If our work can save just one of the 2,700 lives that are lost to mouth cancer every year, then it is a more than worthy cause. Visit www.dentalhealth.org to learn more about our campaigns and activities. As Mouth Cancer Action Month approaches its final week we thought we would summarise some key facts and give details on further reading. The signs and symptoms of mouth cancer include: • A mouth ulcer that does not heal within three weeks. • White or red patches in the mouth. • Unusual lumps or swellings in the mouth, head or neck. • Any persistent ‘hoarseness’. Early diagnosis is vital. It increases our chances of beating the disease and gives us a much higher quality of life. Self-checks and regular dental visits are extremely important for spotting mouth cancer in its initial stages. If in doubt, get checked out! Are you able to recognise the changes in your mouth? 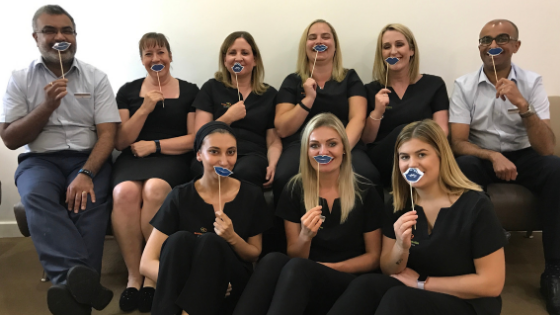 That’s the question posed by Smile Essential Dental Practice in Leicester as we support a charity campaign to raise awareness of mouth cancer. The dental practice, based on Narborough Road, Leicester is urging Leicester residents to be more mouth aware and recognise the early warning signs of mouth cancer, for November’s Mouth Cancer Action Month. 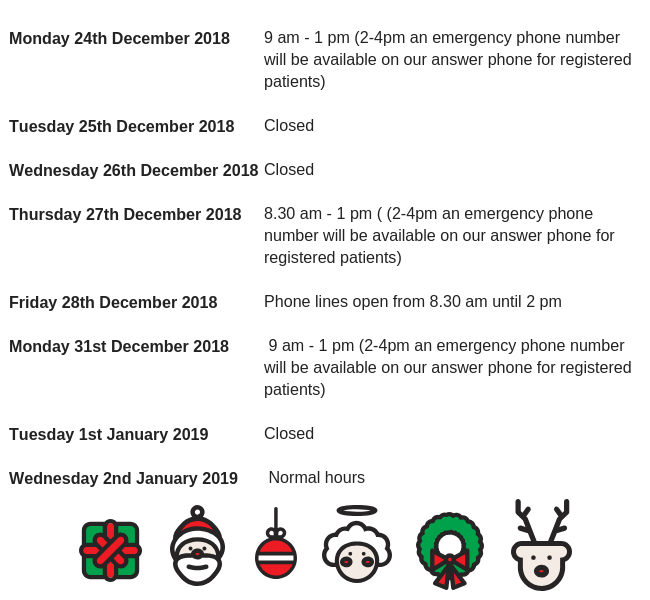 With awareness of the disease remaining alarmingly low, Dr Niket Patel say's that a simple 45 second check is often all that’s needed to identify anything unusual and be able to then seek professional guidance. 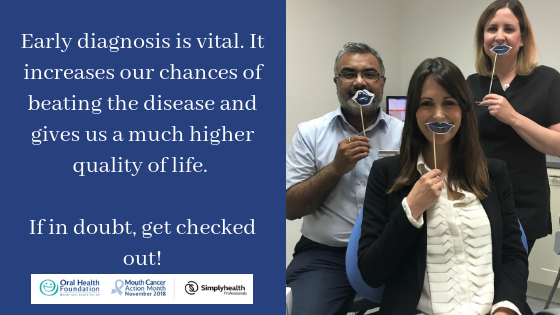 Dr Niket Patel practice principle says: “Early diagnosis transforms our chances of beating mouth cancer from 50 per cent to 90 percent so it is crucial that we know what to look out for and that we do not hesitate in seeking advice from a health professional. “A mouth ulcer that does not heal within three weeks, red or white patches in the mouth and unusual lumps or swellings in the mouth or head and neck area, can all be potential signs of mouth cancer so it’s important to be aware of any changes occurring inside your mouth. “Quite often it is easier to notice lumps and bumps on the outside of the body or to dismiss a mouth ulcer as benign. Most of us will spend at least a few minutes every day in front of a mirror brushing our teeth so while we’re there it makes sense to have a quick look inside the mouth. “If you keep a lookout for these symptoms then a simple 45 second check really could save your life. “Mouth cancer can have a devastating effect on a person’s life, impacting on their breathing, eating and speech. Reconstructive surgery could also change their appearance while the experience often has an impact on confidence and self-esteem. “By developing a greater understanding about the early warning signs and symptoms, the lifestyle factors which increase our risk, and recognising where to go if we notice anything unusual inside our mouth, we can detect mouth cancer early. This will not only improve our chances of beating it but will also reduce the amount of invasive surgery needed to treat it. 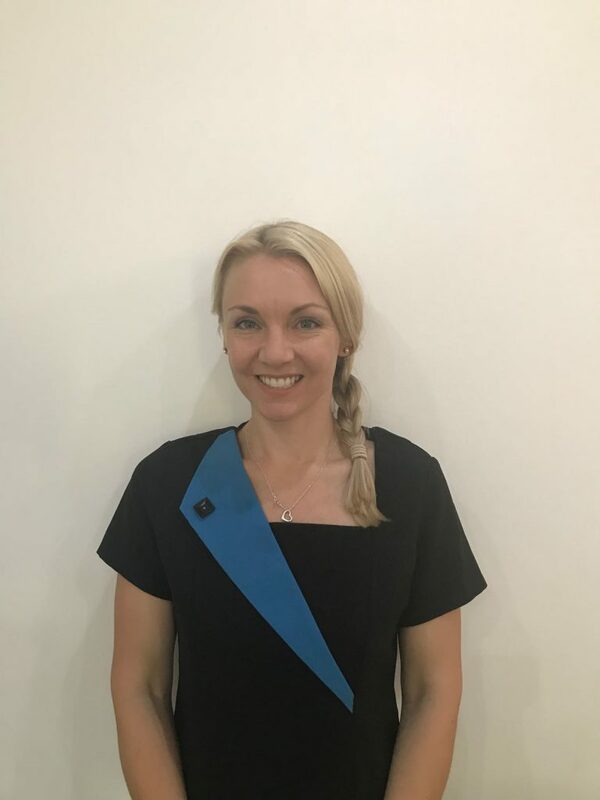 We have recently welcomed Kim a Dental Hygienist and Therapist to our Smile Essential Team. Kim has brought along with her a wealth of experience and a kind and gentle chairside manner. Kim has an extensive CPD portfolio and has undertaken additional training in tooth whitening. Kim particularly enjoys the challenge of working with nervous patients and children. Being a Dental Hygienist and Therapist Kim will be a key member of the team. Her main role will be to carry out dental hygiene work for patients to ensure they have healthy gums. In addition to this, she can also perform some restorative and preventative work. In her spare time, Kim enjoys netball, snowboarding and exploring the local countryside. We will be wearing it pink in October. Will you support us? 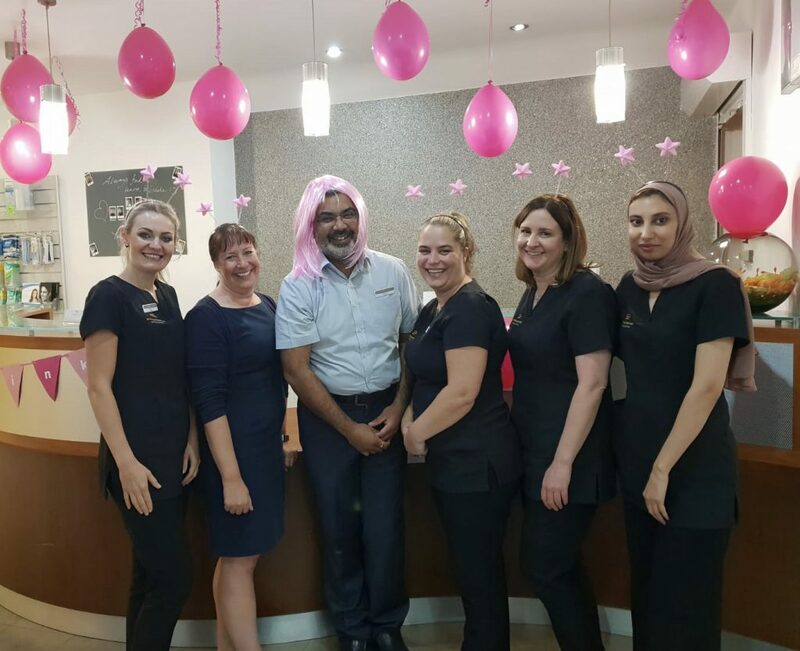 On Friday 19th October we at Smile Essential will be wearing pink, all to support Breast Cancer Now and raise money to support life-saving research. Why? Because breast cancer is still here. It’s still tearing apart the lives of families and it’s still taking the lives of the women we love on a heartbreaking scale. Signs and Symptoms of Breast Cancer Everyone’s breasts are different, and your breasts can change with age and at different times of the month. It’s important to get to know how your breasts normally look and feel so it will be easier to spot if there are any unusual changes for you. If you do spot any unusual changes to your breasts you should get them checked out by your doctor. Breast Cancer Now's Research If we are to meet our ambition that by 2050, everyone who develops breast cancer will live, then we need to make sure we fund the most impactful research. Our research is focused on four key areas – risk and prevention, early detection and diagnosis, treatment and secondary breast cancer. We believe this approach to research will allow us to achieve our ambition and stop breast cancer taking lives. You can help us at Smile Essential raise funds by buying our raffle tickets.